Pancake Day is upon us, coming Tuesday to be precisely. This day might have started off as the very last day to stuff ourselves before the Lent season and it might still be true for some people. But for foodies, who just can’t give up lovely foods, it’s the day to just dig in and celebrate light, fluffy (or thin and crispy! ), buttery treats. It’s lighter and fluffier than bread but gives you homier and snugly feels than cakes. How should it be done and what toppings? While American style is known for being thick and fluffy and famous toppings are maple syrup and crispy bacon, British pancakes are thin and often served with lemon and sugar. And those are the “standard” pancakes that we are familiar with. Pancakes seem like such a simple thing but actually when you look into the world of pancake, there is a lot more to it. This year why don’t you get creative with pancake-making, getting inspired by pancakes from around the world? (Our focus this week is not ‘what is eaten on the day of Shrove Tuesday/Madi gras around the world’, it’s about ‘what pancakes look like in other parts of the world’. Just so you know!) Let’s knife straight in! French pancake is on much thinner side, called Crepe and they are undoubtedly one of the most known and widely available pancakes nowadays in the world. Crepe can be sweet or savoury. It is served folded with fillings you like. The selection of fillings you can get is virtually indefinite. But the most typically French sweet crepe is Crepes Suzette, which is a crepe in flambé of Gran manier, sugar, orange or tangeline juice. Caramelised sugar and citric juice with a hint of Gran manier is a delicious grown-up road to pancake-making. Another sweet one is Mille crepe (thousand layers). 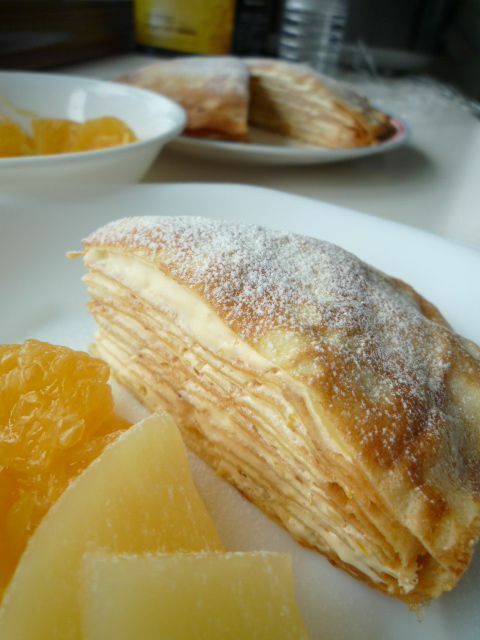 Most of you must have heard about Mille- feuille, which is made of layers of pastry filled with pastry cream. This one is the crepe equivalent of Mille- feuille. It’s made of a stack of 20 thin crepes with cream. Instead of crispy, moistened and chewy pancake with silky cream brings you luscious 1000 bites. This layer is a perfect, accompanied with a cup of strong coffee. On the savoury side, there is Galette, which is usually made from buckwheat instead of wheat flour and folded into a little parcel*. Just as a sweet crepe can be topped with any kinds of sweet fillings, Galette can be served with any savoury combination of eggs, cheese, meat, fish and vegetables. The most popular is one with grated cheese, ham and eggs. The taste of cheese oozing out of crispy crepe is something to die for! *Galette also refers to a puff pastry pie, such as Galette des Rois. 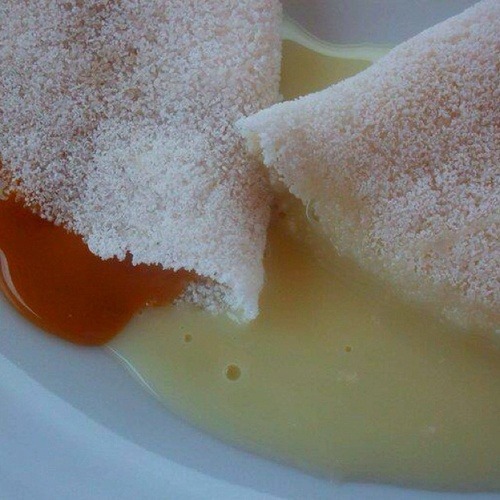 Apparently, in Brazil, tapioca refers to pancakes in general, which are made from its starch, water and salt. Take Beiju. It’s made into grainy pancake and toppings vary from traditional coconut flakes, curd, bananas, to goiabada (guava paste). This snowy white pancake is chewy yet crumbly, new pancake experience all over. Do you prefer a whole dinner in a crepe? That’s exactly what Panqueca de Carne Moida is. This thin crepe-like pancake is made from flour, oil, lots of milk to make it thin and crispy. Filling is made with minced beef, onions, tomato sauce and some spices. After being topped with the fillings, the pancake is made into a roll. It can be served with tomato sauce or béchamel sauce. In Brazil, this pancake is served with rice, beans and salad. This is one biiig tasty dinner you can’t stop feeling louca about! This pancake is made from wheat and rice flour mix. It can be both thick and fluffy, and thin and crispy, folded into a half moon shape, filled with ground peanut, sweet creamed corn and sugar. Or it can be served with coconut flakes and bananas. Just as the rest of Malaysian dishes, their pancake is full of an exciting mix of flavours (often representing tropical heat!). Often considered as street food, this homey easygoing pancake gives you a new perspective about pancakes! 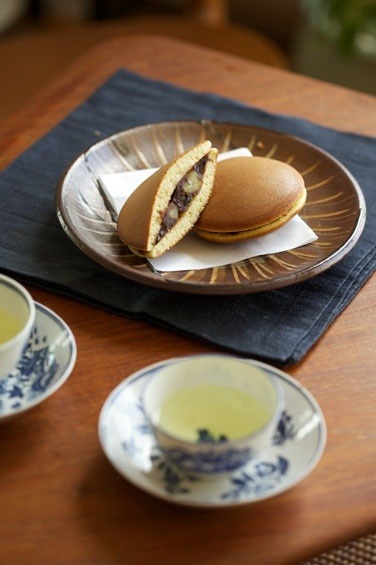 The name Dorayaki originates from the word, Dora, which means ‘gong’ due to its similar shape. This hand-sized sweet Japanese pancake is fluffy and spongy just as American pancakes. 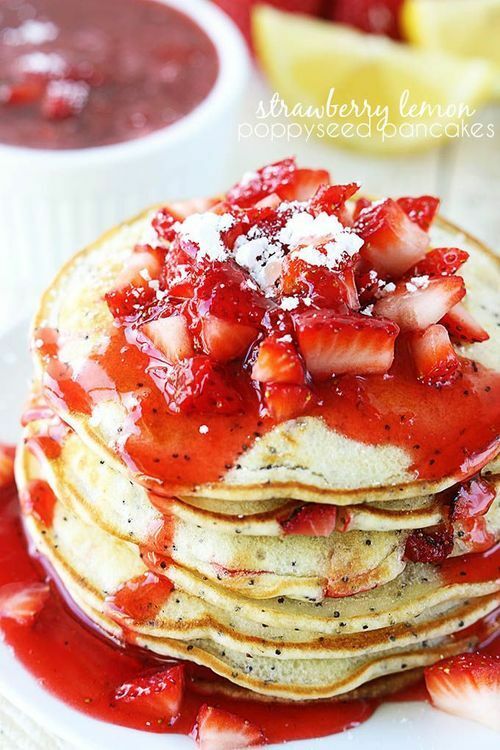 Pancakes itself are made sweet with additional ingredients of honey and mirin. 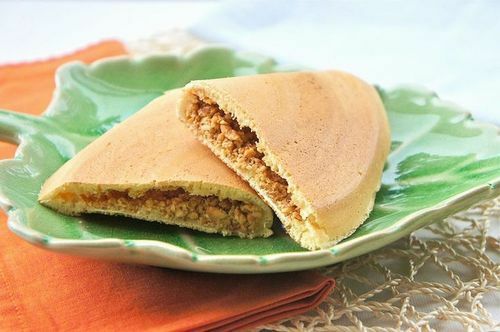 Pancakes are sandwiched together and filled with sweet red bean paste (Anko), custard cream, or sweet chestnut cream. It’s a perfect accompaniment to your cuppa, whether it’s Green tea or Earl Grey. Sweet red bean paste might be some acquired taste. Then how about a Russian Blini? As mentioned in the last week’s post (http://goo.gl/dWkCrF), blini is a crepe-like crisp hand sized pancake made with wheat or buckwheat flour. 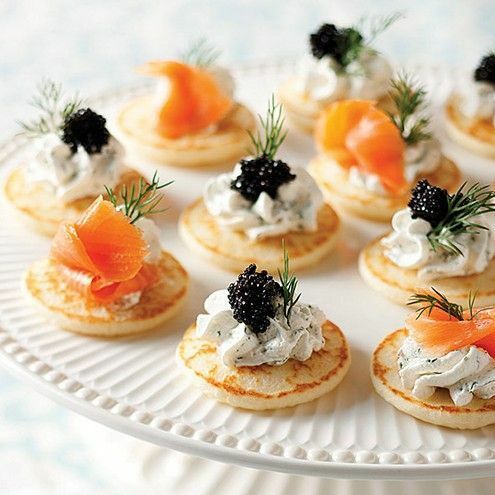 This pancake is a very popular breakfast or party appetiser, topped or rolled commonly with caviar, smoked salmon, sour cream (smetna), jams, and cheese. Why don’t you host a pancake party with blinis this year? Crazy about everything Indian? Then it’s worthwhile trying Malpua, which is popular (especially on religious occasion) in countries such as India, Bangladesh and Nepal. 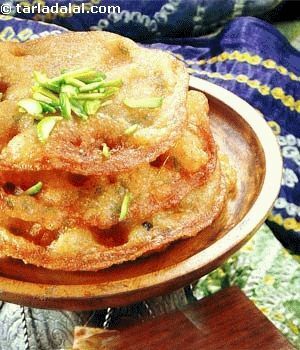 This sweet snack, Malpua, is a deep-fried pancake made from a mix of flour, milk, fennel seeds and cardamom. The ingredients and toppings vary by region and some list mashed bananas and coconut, semolina, rice flour and yoghurt as ingredient. After being deep-fried in Ghee (clarified butter), it’s soaked in thick saffron-infused sugar syrup and can be topped with pistachios or served with condensed milk. Fragrant cardamom gives this crispy pancake a delicate touch and brings this pancake to another level. This impossible-to-read pancake, meaning ‘Apple slices’ in Danish, has a very distinctive ball shape. The texture is very light and almost like a cross between a pancake and a doughnut. Sauteed apple with cinnamon is mixed with flour, baking powder and eggs and dropped into a special Danish grill pan and dusted with powdered sugar. 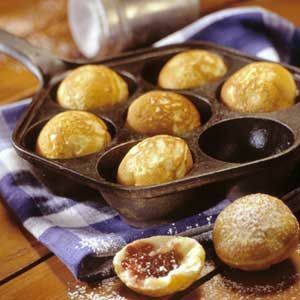 These balls can be made without apples to play with toppings and fillings. Toppings can be up to your creative flair, whipped cream with fruits, trickle of sugar syrup or chocolate. It can be stuffed with fillings such as cream cheese, fruits, chocolate. Sky is the limit! These very light and fluffy treats guarantee you pleasant balls of fun! Some believe that this pancake is actually the very first documented pancake in the world. This is an ancient Greek breakfast that has been around giving out a hot and nice steam in the morning for the last 2600 years. It’s light and crispy. This pancake was originally made only with flour and water (with no dairy products and egg, it was perfect for the Lent season). 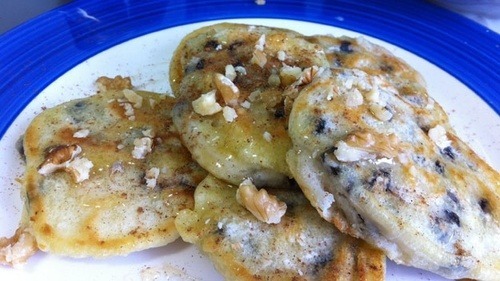 But nowadays it is made with milk, yoghurt and olive oil and served with honey, cinnamon, Greek grape syrup called petimezi, nuts, fruits or soft sheep/goat cheese called anthotyro. Make you ponder about the world of pancakes just as Socrates did…? So these were just a few examples of pancakes from different corners of the world. The list could go on forever; Kabalagala from Uganda, Banh Xeo from Vietnam, Dosas from India, Chijimi from South Korea, Cong you bing from China….there are so many varieties for us to explore and enjoy. If one of your New Year’s resolutions is to be global, why don’t you start off with food? Travel around the world with your taste buds! What’s your every-year tradition on Pancake Day? Do you get together with your friends and enjoy a “round of fun out of a pan”? Do you have little kids who love to give you a hand with pancake making? Or do you prefer to buy it hot from a local crepe stand or café? There are many restaurants, cafes and takeaway shops that serve really nice pancakes and make our search for the perfect pancake easy and delicious! Let us know your idea of one perfect pancake, the perfect round of happiness!